NUM NUAN means "softness" in Thai. 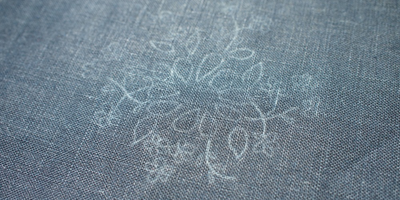 We gave this name to our brand in the image of the softness of textiles. The word, NUM NUAN is also used for expressing the kindness and gentleness of heart. We make our products with the hope that our textile　products add color to people's lifestyle and calm people's mind. At　Chiang Mai, a historic old capital of Thailand, our hand-made products are created carefully by skillful craftspeople based on what customers demand. 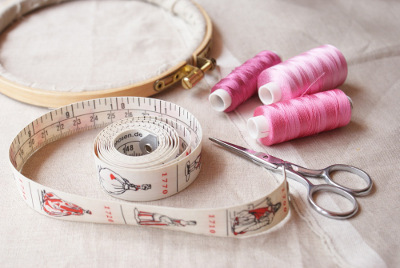 Through hand-making by ourselves, we hope that our customers enjoy the warmth of hand-made products. 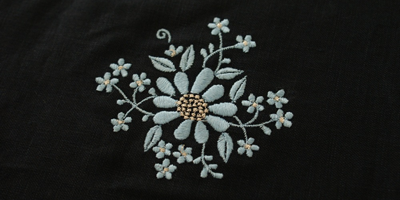 Our embroidery is produced by sewing machines. 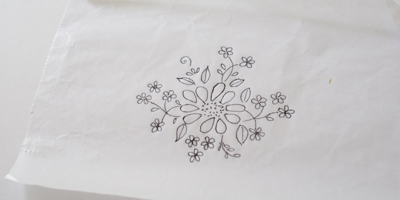 Tracing the embroidery pattern on the tracing paper. 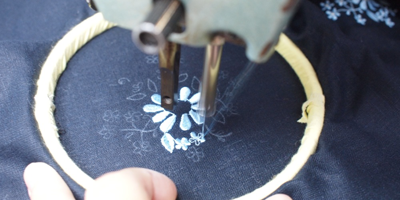 Stitching the pattern carefully by sewing machines.